We are artisans committed to you and your hair. In addition, we are dedicated to further educating ourselves to keep up with fashion trends and new cutting ideas so that you will always have access to a fresh look with every appointment. If you happen to pop in during one of our creative sessions﻿, you may even find us designing a new hair cut with a mannequin. Isabel comes from what many consider to be the fashion capitol of the West (next to NY, NY), Mexico City. Her international roots gives her a better understanding of international hair design and fashion. She is fluent in both English and Spanish, though you may notice that her accent has a beautiful Latin flair. Coming to the States at the young age of 20, Isabel immediately enrolled into the best beauty college in San Antonio at the time﻿, Excel Academy of Cosmetology. She quickly rose to the top of her class graduating with honors from her school. Thereafter, so she wouldn't pick up or create any bad hair cutting habits, Isabel immediately went to apprentice with a world and international hair cutting champion. It was there that she learned the proper hair cutting techniques that only the higest skilled masters use around the world. 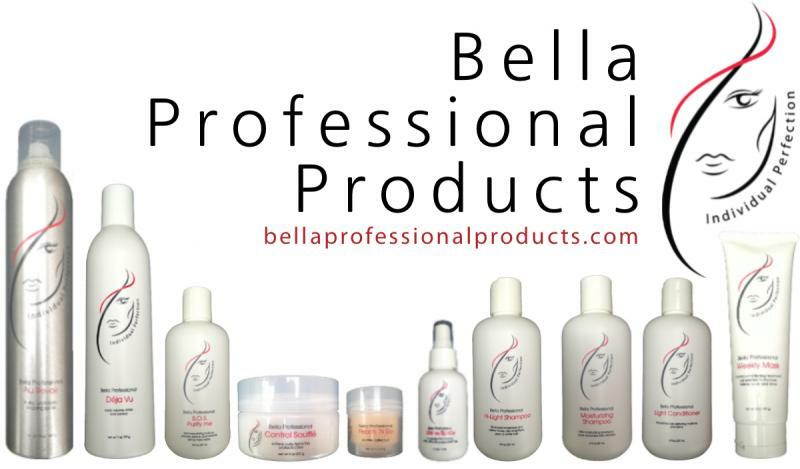 In addition, Isabel is the proud creator and sole distributor of Bella Professional Products, an exclusive hair care line that is designed for hair of all types with a strong foundation of properties to support hair in even the most humid rich climate. Recently others have asked Isabel if she would consider competing for a championship herself? Even though she may consider competing in the future, she feels that a medal or trophy handed to her is not as important as the lives she is changing via her honorable work and passion for hair. It is the lives she changes that inspire her to keep growing and advancing with fresh ideas and unique designs. ﻿In her spare time Isabel does consulting work as well as provide advanced education for stylists of all levels including those that are newly graduated, and those that have been working with hair for over 30 years. Isabel also enjoys during charitable work for local shelters. Recently she has partnered with Southwest Key to provide hair services for immigrant children searching for their families. Personally, Isabel has three beautiful boys ages twelve, nine and six. She comes from a Christian family with four other siblings, two sisters and two brothers, all who participate in church ministry of various levels. Spiritually, Isabel puts God first in everything she does. She gives Him all the glory for the gracious gift and anointing He has put into her hands. She also has wisdom far beyond her years, so if you need advice, under stress or having a difficult time, you will leave refreshed and rejuvenated if you choose to ask her counsel. Artistically, Isabel has a true passion for hair. She enjoys creating new styles that fit the personality of her guests. This creative passion may stem from an early love of flowers and flower arranging. At the young age of 13, she owned her own flower business in Mexico. In the mid '90s, her award winning designs earned her the opportunity to create arrangements for the President of Mexico. Copyright 2018 Bella Hair Designs. All rights reserved.